THE CHICAGO CUBS HAVE CLINCHED THE NATIONAL LEAGUE CENTRAL DIVISION!!! CUBS WIN!!! CUBS WIN!!! CUBS WIN!!! Can we say anymore to add to this day? To all the Cubs fans out there, have fun celebrating this win and please be safe. Both 89 Cubs and Mister Pickles were able to get tickets to today's game, so say hello to them when you see them in the bars in Wrigleyville. The Chicago Cubs have fought hard this year. 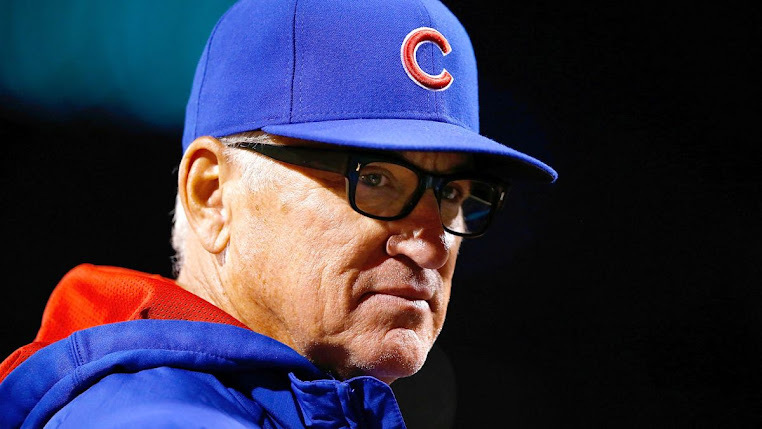 The Cubs have come back to win games that some people felt we had no business to win. We won series after series. Our ace pitcher Carlos Zambrano pitched a no-hitter for the first time in 36 years. This has been a magical ride, but there is still more that needs to be done. Enjoy the champagne Cubs fans. Let's Go Cubs!!! 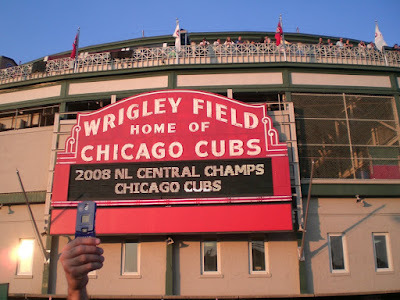 It is time to see baseball played in Wrigley Field, IN OCTOBER!!! The Cubs come right at me @ home plate. I didn't get wet but I could smell the champagne. We moved to behind the dugout. You can hear me talk about posting the 0 post. Apparently, ILovLou's computer crashed and she couldn't post in time, so I had to email in a quick update. I sat with scouts of other teams. They were gunning pitches and keeping notes. I just wanted a win! The guy next to me from the Texas Rangers. He happened to sport a 1988 LA Dodgers Championship ring. A commenter to this post identified him as Mel Didier. Interesting bio: Link Here I am, happy to be there! Um...why would a Texas Rangers' scout be at the game? So he can prepare for the 2010 season when the Cubs and Rangers are scheduled to meet again? JOB WELL DONE MEN, JOB WELL DONE! I'm sooooo proud of this team. We deserve this, they deserve this. NOW... let's win the WHOLE DAMN THING!!! I was there and it was NUTS!!!! Go Cubs!!!! Or over the Mets. Right now, Mets and Phillies are both contending for their own division still, as well as for the wild card. Even though the Cubs' part in this season is technically over, there is still a lot of contributing factors for the Cubs' success in the postseason that have yet to be rolled. Who do we want to see win their division more, Phillies or Mets? You spelled Champagne wrong. Champaign is the town in central illinois. Champagne is the drink. The Texas Rangers scout is, apparently, the legendary Mel Didier who, through his scouting report of Dennis Eckersley, helped Kirk Gibson smack the one-handed homer that ended the 88 series. It seems that Mr. Didier does post season scouting for other teams under contract when his team, the Rangers, is no longer involved. Well, with today's New York Mets loss, they are now out of the running for team with best league record. This just leaves a magic number of 1 for the Philadelphia Phillies now. Congratulations, Chicago Cubs, and enjoy homefield advantage this postseason... you've earned it! Papabear, you're correct. It was Mel Didier. I'm adding that to the post. Congratz Cubs, on clinching the league's best record and homefield advantage for the NLCS!! Our family had season tickets from the early 70's to 1985 that were almost exactly where you were sitting. These videos brought back great memories of watching the game from that perspective. How we miss those seats! Thanks for sharing and keeping this site up and running. Life long Cubs fan now living in the Ozarks!